Great Barrington — The power of community is alive and well in the Berkshires as evidenced by the groundswell of support for Music in Common, a local nonprofit scrambling to recoup funds necessary to keep its programming in place. In fewer than six months, moods at the Sheffield-based organization have swung from elation at receiving a $159,000 federal grant awarded by the Obama administration in January to devastation upon it being revoked by the Trump administration in June. Tonight at the Mahaiwe Performing Arts Center, Music in Common presents #EmpowerYouthAgainstHate. The event, designed as a fundraising campaign to recoup lost funds, will take place at 7 p.m. and is free and open to the public; no tickets or reservations are required. Sheffield resident Todd Mack, has made a 30-year career as a musician, songwriter and producer; his unwavering belief in the power of music to change the world ultimately led to the founding of the Berkshire-based nonprofit Music In Common. 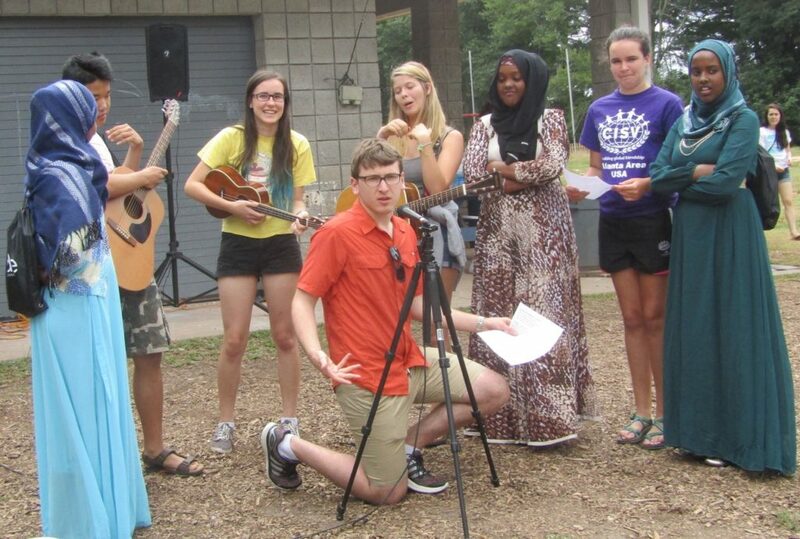 The organization’s mission is to empower diverse cultures and faiths to discover common ground through collaborative songwriting, multimedia and performance. The grant–the largest in the organization’s 12-year history–was to fund critical programming focused on reducing tensions, hate and violence among American teens of diverse backgrounds including Muslim, Jewish, Christian, refugee, immigrant and American-born. In October 2005, singer-songwriter and producer Mack organized an informal backyard jam in honor of his friend and bandmate Daniel Pearl, the Wall Street Journal reporter abducted and murdered by militants in Pakistan in 2002. Fueled by a resonating belief in the power of music to connect people, that backyard jam grew to become Music in Common, an international nonprofit organization with innovative programs that serve as a call to action in communities around the world. “As Danny traveled the world as a journalist, he’d take his fiddle and play at local jam sessions. It was his way of connecting with people in the places he visited and then connecting them with each other. Music in Common is the best way I know to honor his memory,” said Mack. To date, MIC has directly served thousands of people in more than 250 communities across the U.S., Middle East, and Far East and operates multiple programs locally, nationally and internationally. Tonight’s event, #EmpowerYouthAgainstHate, will feature the screening of two short, powerful films featuring youth whose lives have been changed by Music in Common programs. The films, From Madness to Music and Amplified: Young Voices Rising, will be followed by a discussion with Mack. Donations are encouraged and can be made by check, cash, or credit card onsite or online.